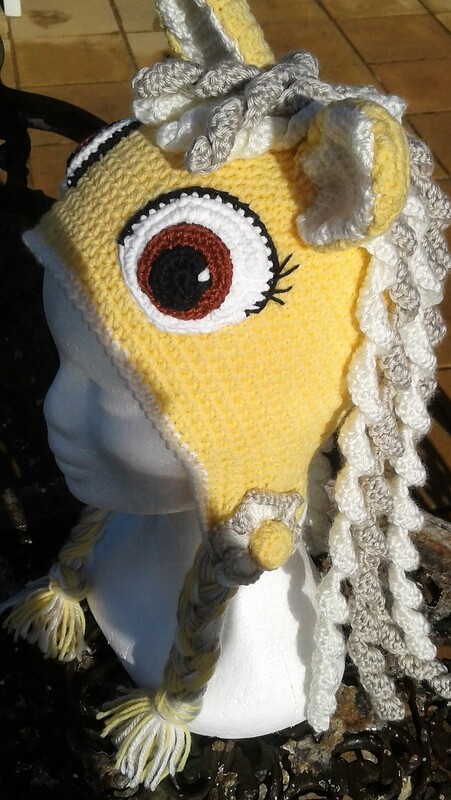 Stunning hand-crochet Little/Big Girls' Pony hat. 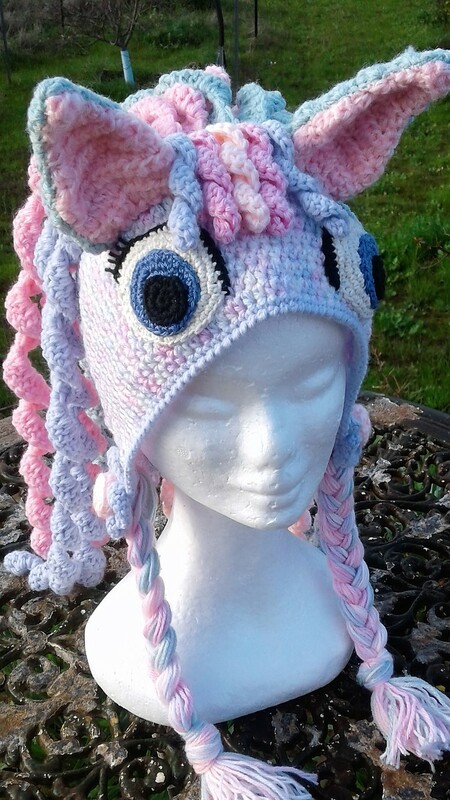 What little girl wouldn't love to have this fun and funky Fantasy Unicorn Hat? This would be perfect for Halloween, Birthdays, Dress up, Christmas and gifts. 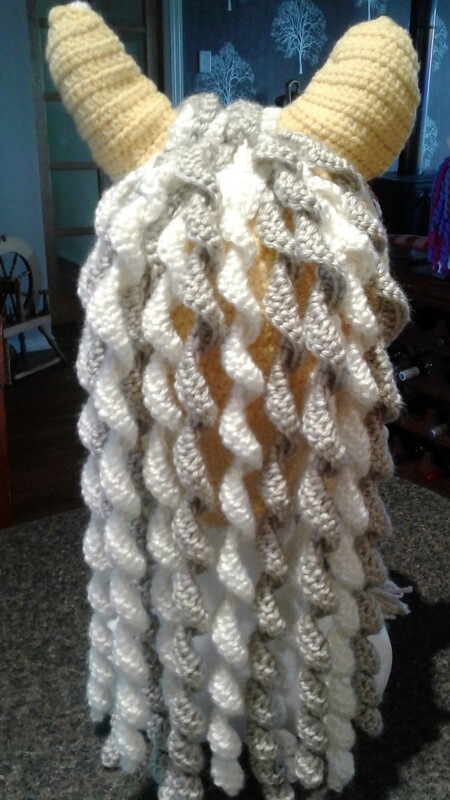 The horn is crocheted with strand of golden thread and is filled with cotton to maintain it's shape. 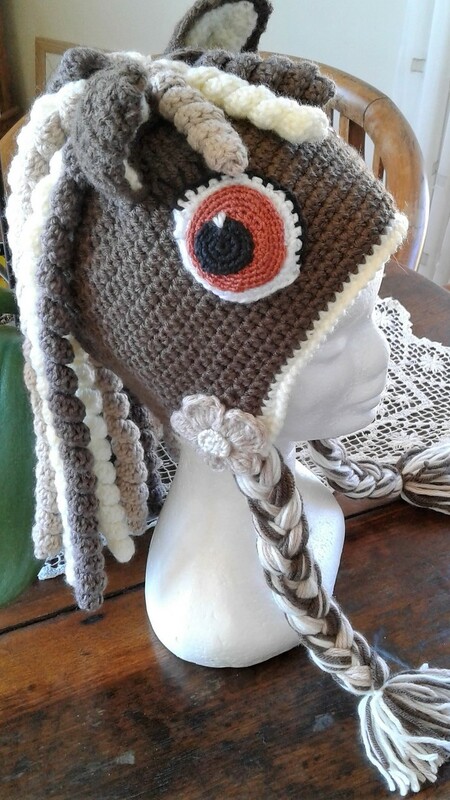 A bright coorinating crochet floiwer on the earflaps complete the funky look. 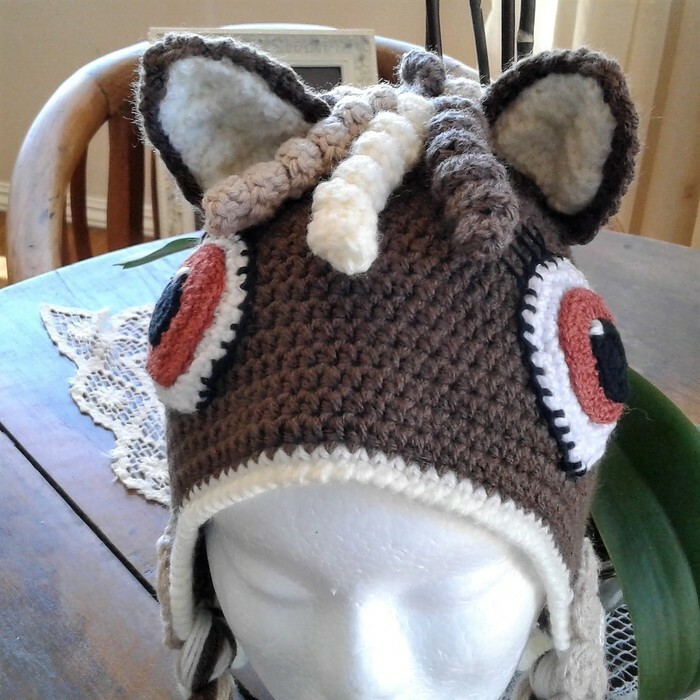 The hat is crocheted in quality acrylic yarn and several strands of mane and the horn include a strand of golden thread for a sparkly finish. 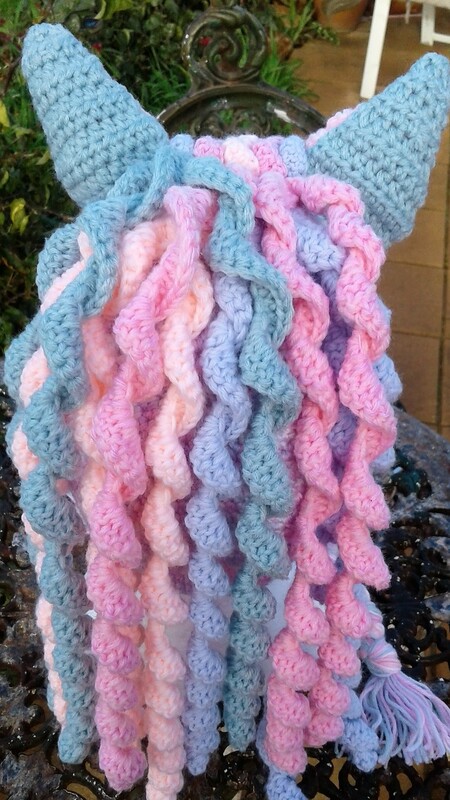 The hat can be made to order in any size and in a range of colours. All of my designs come complete with Bar-Bar-A-Black Sheep sewn-in label and full care instructions. Thank you for visiting my shop. Please visit again as I am still adding to my stock. You are welcome to leave feedback. All my pieces are shipped using Australia Post and can be registered if required or tracked by Australia Post tracking system. Type of mail delivery required by client. Cost of shipping within Australia is $9.35 up to 500 grams in weight with tracking facility. However, I guarantee that I will always make every effort to keep the shipping/postal costs to a minimum. I will also refund any shipping costs or give credit on next purchase where an overcharge has been quoted.